We believe that what we do is more than just taking you to where you're going. 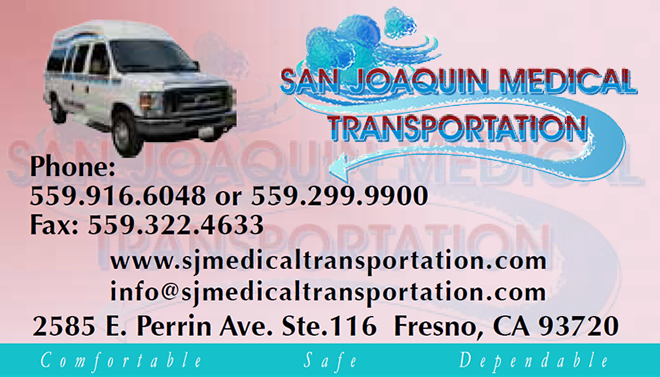 San Joaquin Medical Transportation, Inc. makes the whole experience safe and comfortable. 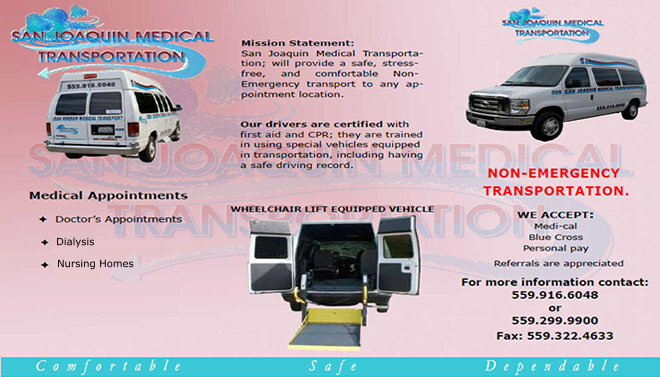 Our services are provided for individuals who are in delicate conditions and those who require non-emergency transportation. 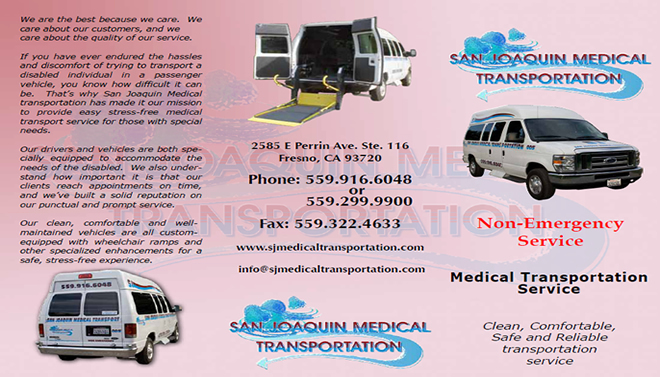 Vehicles are well-maintained and equipped with gear to handle safe transportation for disabled individuals. All drivers are trained personnel who will make sure that you or your loved one is safe while in transit.